Coral reefs are vanishing from the world’s oceans. At least three quarters of these tropical marine habitats are severely threatened globally and in 2016 alone, the Great Barrier Reef lost up to 30% of its coral cover. But could modern technology simply create more reef? It may sound fantastical, but scientists are working on 3D printing new reef habitats to replace those lost from climate change, overfishing and pollution. Recently, one the largest 3D printed coral reef was deployed at a site in the Maldives, as a way of creating new reef habitat, using a new technology called Modular Artificial Reef Structures or MARS for short. MARS consist of lattices that have been 3D printed in ceramic material and designed to be deployed from small boats and pieced together by divers. The idea is that they can be used together with coral farming – where coral is cultivated for commercial purposes or reef restoration – to create new reef habitat in areas that have been degraded or where there were no corals to begin with, such as sandy bottoms. Much of the value of reefs comes from them having live corals, for example, many tourists prefer to see living rather than dead corals. Living corals continue to build reef. So without sufficient numbers of living corals, the actual reef structure will eventually erode over time and will not grow to keep up with sea level rises. 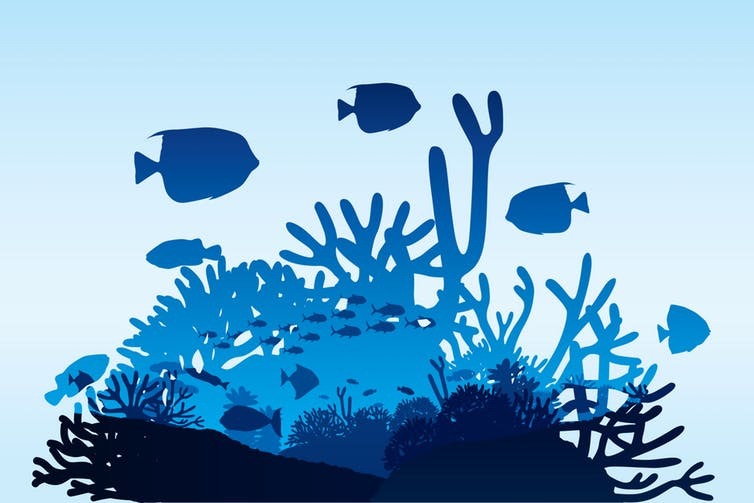 Reefs need growing, healthy corals to continue to function and protect coastlines. So merely increasing the amount of reef structure available for coral growth will not in itself solve the problem of natural reef decline. This does not mean that 3D printed reefs cannot be beneficial in coral management as any restoration activity can provide an opportunity to engage the public to learn more about the difficulties facing coral reefs. However, the only way to tackle reef decline in the long term, is to deal head on with its main causes: climate change, pollution and destructive fishing practices. Header image: Building an artificial reef. Credit: Auspicious/Shutterstock.